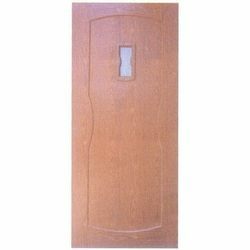 Pioneers in the industry, we offer veneered door from India. We are engaged in offering superior quality Veneered Door to our valued customers spread across the globe. Veneer are thin slices of wood that are glued on core panels like wood, particle board or medium density fiberboard. The veneer is used to manufacture flat panels like tops, doors and panels for parquet floors, cabinets and parts of furniture. It is obtained by slicing large rectangular blocks of wood or by peeling the trunk of a tree. To attain maximum satisfaction of our valued customers. Looking for Veneered Doors ?